RARELY does a legend motorcycle racer have a son who follows in his foot-steps and last month we looked at the racing life of multi Australian, Victorian, South Australian and New South Wales scrambles champion George Bailey, this month we look at how his son Andrew fairs against the best riders in Australia. While doing research for a little side project I became the latest fan of 1950s scrambles champion George Bailey. There isn’t a current racer that could dream of emulating George’s racing record (99.999% wouldn’t have the ticker anyway) and as I was to later discover that multi Queensland Motocross Champion Andrew Bailey is in fact George’s son. George has stopped racing in the late 1950s but by the early 1970s his sons Robin and Andrew had caught the dirt bike bug so George and Glad were back at the same tracks that George had won so many titles on watching Robin and Andrew belting out laps and for Andrew in particular cutting his teeth for future success. Robin definitely had the talent as a dirt bike racer and placed well at several major events as a junior racing the likes of future champions Gary Flood and Mike Landman but Andrew was a dead-set chip off the ol’ block. Andrew Bailey had the same style and steely determination of his famous father battling with the likes of Grant Cramer and Ron Dinsdale during his early years of racing with his first real success being a 3rd place in the 1973 Australian Junior Motocross Championships in Canberra before garnering his first state title by winning the Victorian Junior Short Circuit Championship in 1973 after a ‘ding-dong’ battle with Dinsdale. Bailey went on to win another Victorian Junior Short Circuit title in 1974 while Dinsdale edged Bailey out of the Grand National Junior Motocross Title and the Victorian Junior Motocross Championship before the Bailey family moved to Gympie, Queensland in 1975 where Andrew immediately got stuck into the local dirt bike race scene. At 16 years of age Andrew won his first State title as a senior by winning the Queensland 250cc Short Circuit Championship then backed that up by partnering Kerry Gray to the 250cc class win at the annual Maryborough 3-Hour before showing that he had lost none of his motocross skills by winning the A-Grade All-Powers class at an open Gold Coast motocross meeting. Remember, Bailey is still just 16 year old. 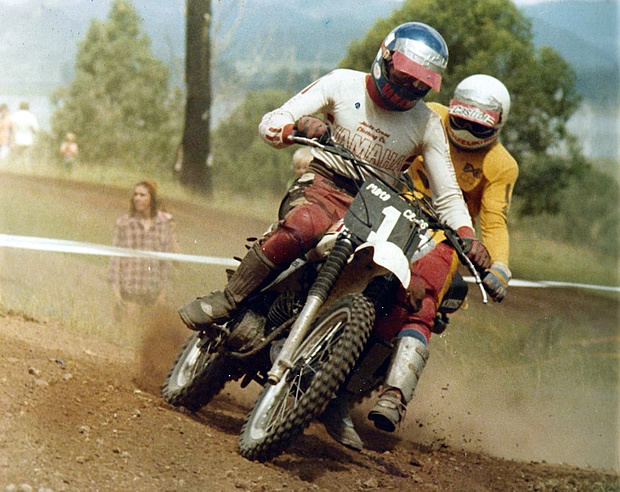 During 1976 Bailey took out second place in the prestigious Queensland Suzuki Motocross Series to Steve Cramer the at the 1976 Australian Motocross Championships Bailey was again pipped by Cramer for the national 125cc title while it was Kiwi legend Peter Boyle who nudged Bailey out of the winning spot in the Queensland 125cc Motocross Championship. From the late 1970s through to the mid-1980s Bailey would win three Queensland Motocross Championships, come second in two Australian Motocross Championships, win the Queensland Pony Express Championship and was on the podium at every major race around Queensland and NSW more times than you can poke a stick at while battling the legends of the sport like Stephen Gall, Anthony Gunter, Robert ‘Beatle’ Bailey (no relation), Pele Granquist, Stewart McLachlan and Trevor Williams to name a few. George played a big hand in Andrew’s racing in the early days by tuning the bikes and according to Andrew he never really pushed his youngest son beyond his limits but he did offer a lot of good advice that stuck with Andrew and paid dividends more often than not. Andrew’s best opportunity to win an Australian Motocross Championship came in 1980 when he was leading the 500cc class ahead of Australia’s best factory stars when the head studs pulled from his YZ465 thus blowing the head gasket so with the Yamaha sounding like an old chaff-cutter Bailey soldiered on to second place behind championship winner Trevor Williams. Andrew stopped racing at the top level in 1981, went on to get married and have two children Reid and Dan, started a motorcycle accessories distribution business in Brisbane with his old sparring partner Steve Cramer in the early 1980s before forming Pro Accessories with business partner Greg Parker a few years later. In fact, Pro Accessories continues to be a successful business today while Andrew is still out and about riding and racing with young Dan on his CRF150R going riding with his dad at every opportunity and I can tell you from personal experience, they both get around at a very good pace. 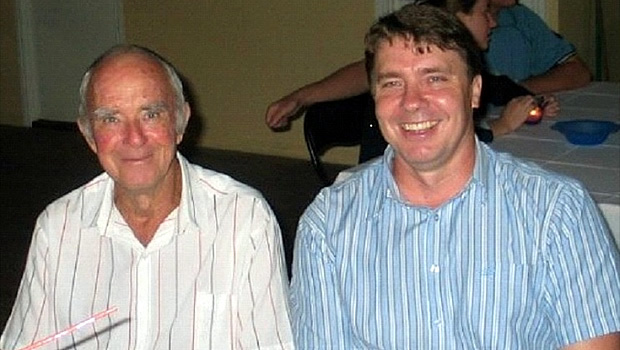 After many years of enjoying his retirement with Glad, their four children, eight grand-children and five great grand-children (Glad now had nine grand-children to spoil), George Bailey passed away at 77 years of age in January 2007 due to ill-health. And of Andrew, “I believe Andrew’s success was due, apart from his natural ability and dedication, to his strength, relaxed manner, quick reflexes, and a total love of the sport. George and I got a lot of pleasure from watching the boys race. We enjoyed the sport and they all grew up with it, they didn’t have much choice really! We also believed that the family that plays together stays together”. Nothing is surer that motocross is a better sport today thanks to George and Andrew Bailey, die hard dirt bike enthusiasts with a passion for the heat of battle that spans from the late 40s through to his very day is as rare as hen’s teeth and needs to be celebrated. So, on behalf of the whole dirt biking fraternity, I tip my hat with the greatest of admiration for George and Andrew Bailey.